The 888poker XL Blizzard schedule is packed with value. When the calendar turns to spring each year, poker players begin to drool in anticipation of the big series’ from each of the top online poker sites. Starting April 4, the 888poker XL Blizzard series is 34 events spread over 10 days with over $1.7 million in total guarantees. The schedule includes buy-ins from as low as $5 with the High Roller event being just a $320 buy-in. 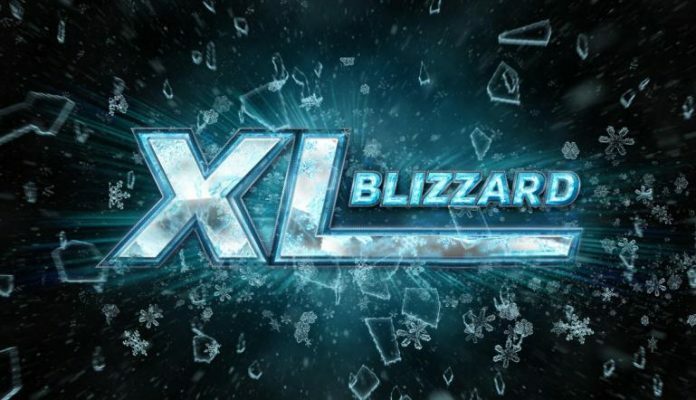 After poring over the schedule and the structures for each event, these are the five MUST-PLAY events on the 2019 XL Blizzard schedule. There’s no better way to kick off a tournament series than with a deep run in the first event. The Opening Event has a $109 buy-in and promises to be one of the biggest fields of the series. You’ll start with a 50,000 stack with blinds going up every 15 minutes. Players can rebuy up to three times in the first four hours, but only once your stack has gone all the way to zero. Each rebuy comes with a 50,000 stack. Satellites for Event #1 run daily for $12 and guarantee three seats each time. For those looking to take a shot at a big guarantee for a small buy-in, Event #11 fits the bill. The $50,000 Mini Tune Up has a $16.50 buy-in and with a 50,000 starting stack and 12-minute levels, players will have plenty of opportunities to build a stack and pick up a big score. Should things not go your way during the first 2.5 hours of play, rebuys are available. Satellites for Event #11 run daily for just $0.50. Online poker players have come to love playing PKO tournaments. Getting paid half of your buy-in every time you bust out another player changes the dynamic of play just enough to keep you on your toes throughout the tournament. For those who haven’t had the chance to play one yet, the $16.50 price point gives players a chance to get familiar with the format without breaking the bank. Oh, and the $20,000 guarantee is nice too. Goldilocks would love Event #25. The buy-in isn’t too high and isn’t too low. At just $55, players are going to get a chance at a $30,0000 guaranteed prize pool. Here’s the best part: starting stack is 100,000 and levels last 12 minutes. Players can rebuy no more than twice inside the first four hours of play. Players can satellite into this event multiple times each day until April 12 for just $5. Unsurprisingly, THE highlight of the XL Blizzard schedule this year is undoubtedly the Main Event. The $250 buy-in is the second biggest on the schedule (trailing only the High Roller) but also comes with an impressive $500,000 guarantee. The structure also lives up to the Main Event billing. Players start with 50,000 chips and blinds of 125/250 and levels increasing every 20 minutes. Players can rebuy up to three times in the first five hours of play. Players hoping to satellite in have a lot of selection. A $33 buy-in satellite that guarantees two seats runs every day. Players can also get in for just $1 in the LOTTO qualifier – players are all in every hand until there is a winner.